No matter what part of the world you’re in on New Year’s Day, there’s probably a traditional food on the table meant to bring luck. And no matter where you are, the dish typically represents wealth in its many forms. Black-eyed peas are the lucky charm of the South. Some say the peas resemble coins and they’re often served with collard greens, the color of money. Others say the peas were what the Union troops left behind after pillaging the South in the Civil War and are a reminder that is lucky to have something to eat. And some say that as the peas swell when cooking, so will your prosperity. There are just as many ways to eat black-eyed peas as there are stories behind the tradition. Three Phoenix chefs will have their variations ready for guests as they ring in the new year. Note: The Larder + The Delta closed permanently. For Stephen Jones, chef-owner of The Larder + The Delta at DeSoto Central Market, the year’s end is spent like all the days before it—grinding away in kitchens. New Year’s Day, however, is a rare day off spent with family and friends. At his Southern-inspired restaurant, he shares a dish that dates back to the slavery and plantations of Southern Carolina: the Hoppin’ John. 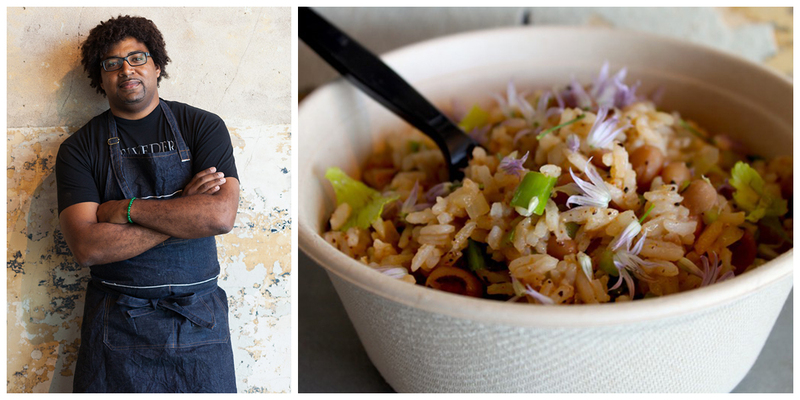 Jones pairs the sweet, grassy grain with Sea Island Red Pea’s for his Hoppin’ John. He crisps the rice for a delightful contrast of crunch with the softness of the peas, and finishes the dish with a drizzle of gravy made from the left over juices. Note: Okra closed permanently in October 2017. Chef Campbell can still be found at Crudo. For Cullen Campbell, peas and greens was just one of those Southern things. “I used to go to my dad’s house on New Year’s Day and this dish was always eaten to start the new year,” he says. 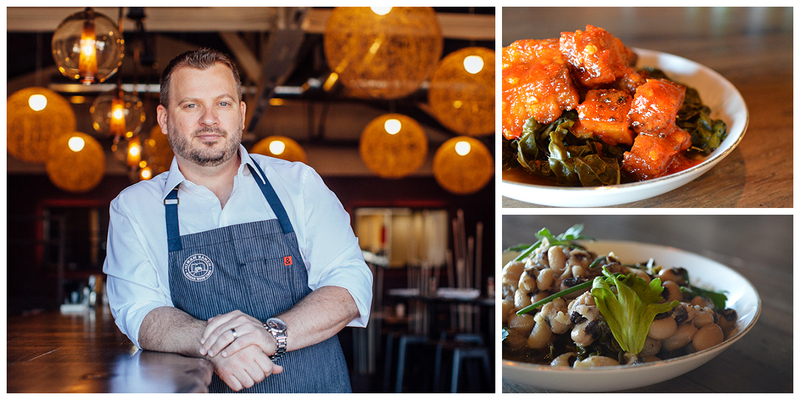 At Okra, Campbell serves ham hocks with greens and black-eyed peas, but he puts an Italian spin on his tradition with the Calabrian pork bites with greens. The ham hock is prepared Osso Buco style—as a big hunk of meat rather than in bits. He tosses it with Calabrian chile, an Italian pepper with a medium spiciness and rich flavor. The greens are braised with left over pieces of skin and fat from Okra’s Tennessee ham for an extra touch of smoke and flavor. To finish them they’re tossed in pepper vinegar, another Southern tradition that gives the dish a touch of acid and heat. And if you’re nursing another New Year Day tradition—the hangover—Campbell says “bourbon is never a bad idea.” He recommends a Sazerac or the Boulevardier, a Negroni made with bourbon. 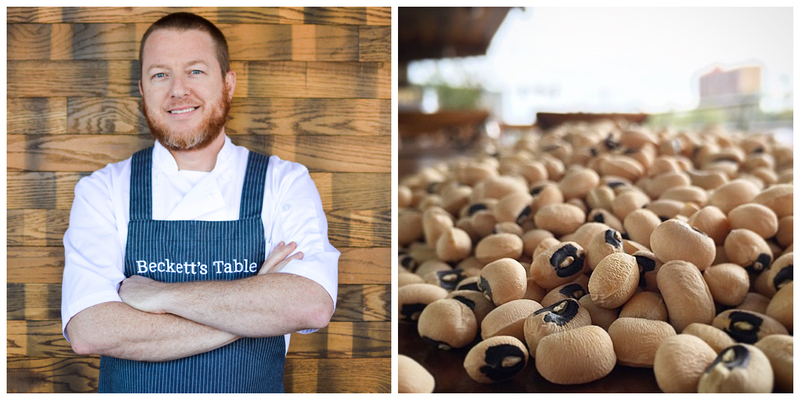 Black-eyed peas take a while to prepare, and Justin Beckett says that’s one of the best things about the dish. At Southern Rail, Beckett will serve a complimentary dish of peas to guests on New Year’s Eve. For his variation, he creates a rich broth with onions, carrots, pork or chicken stock, smoked ham hocks and fresh herbs then lets the peas soak it all in. “A little bourbon never hurts either,” he adds. For Beckett, a new year is a new opportunity to taste and create in the kitchen. He says this year he’s resolved to travel to cities like Vancouver, Nashville and Portland to eat. 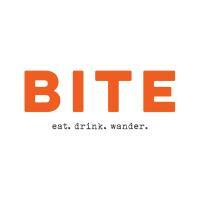 “The inspiration you get when eating in new cities is so exciting,” he says. It sounds like Phoenicians will be in for more culinary luck in 2016.